From January through mid April each year, San Pedro looks forward to the Pacific Gray Whale migration. 2019 is a great year for whale watching! 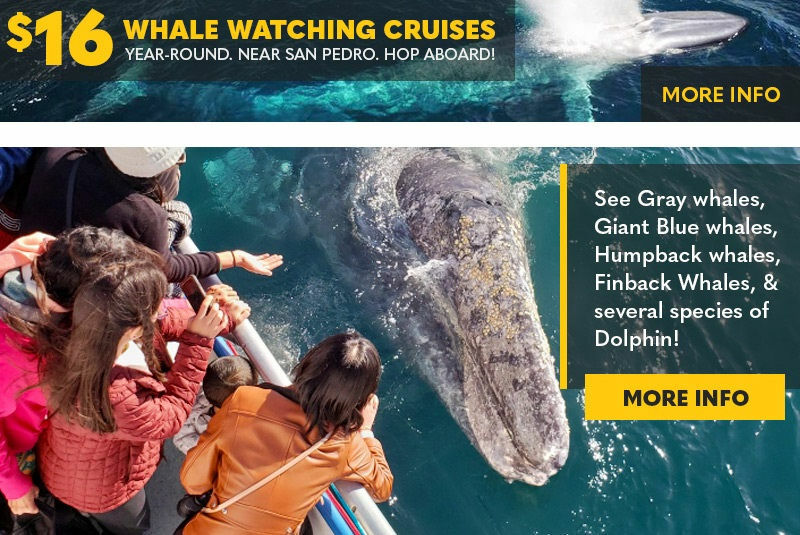 If you’re lucky you might even see Gray Whales with calves, Blue Whales, Fin Whales, Dolphins, and Sea Lions on a whale watching cruise. You don’t have to take a boat trip to see whales. Whales can be seen from shore at the Point Vicente Interpretive Center (PVIC). Dedicated observers count and record behavior of migrating gray whales from the patio of the Interpretive Center. For a listing of landings and organizations offering San Pedro whale watching cruises, please see below. Plan to spend the week-end when you come out to see the whales. 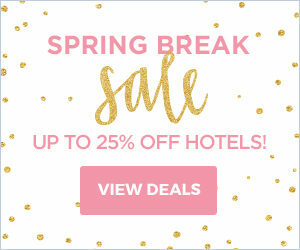 Stay over night in one of San Pedro’s fine hotels.There’s so many other points of interest to see from a historic Point Fermin Lighthouse to the Cabrillo Marine Aquarium and the Los Angeles Maritime Museum just to name a few. (Click here for more.) You’ll also fine unique shops and restaurants at Ports O’ Call Village and the Historic Downtown District. If you want to explore the tide pools check out this link. You’ll probably want a hat and sweater or jacket. Stay and make a weekend of exploring San Pedro. 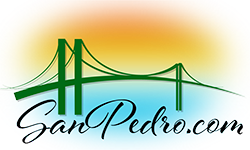 From fast food to waterfront dining San Pedro has and eclectic range of restaurants. As long as you’re here take a look at some of our other points of interest.